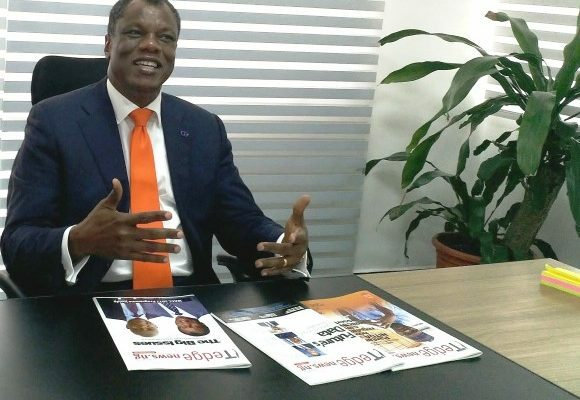 Founder of Ausso Leadership Institute (ALA), Austin Okere will be making a keynote on “Technology Convergence and the Future of Work/ Entrepreneurs” at this year’s West African Convergence Conference (WACC 2019), holding next week, Thursday, March 28th at the Sheraton Hotels and Towers, Ikeja, Lagos. Okere, also founder of CWG PLC, now one of Africa’s top ICT companies with operations in Nigeria, Ghana, Uganda and Cameroon, a turnover in excess of US$200 million, and staff strength of above 800 professionals, will lay out his experience in managing CWG into a Nigerian multinational firm and how he is managing ALA as a social investment initiative for shared prosperity among budding entrepreneurs to avoid the landmines in building businesses. WACC 2019 already enjoys tremendous support from public and private institutions including the National Information Technology Development Agency (NITDA), Nigerian Communications Commission (NCC), National Automotive Design and Development Council (NADDC), NigComSat, Galaxy Backbone Ltd., Association of Telecom Companies of Nigeria (ATCON), and Medallion Limited. Others are Rack Centre, BSSL Limited, PFS Limited, ICS Limited, Backbone Connectivity Network (BCN) and Plateau State Information & Communication Technology Development Agency (PICTDA) among others. Organized as an industry sponsored event by Knowhow Media and Market Intelligence International Limited (KMMIIL) publishers of IT Edge News, WACC 2019 is already heavily subscribed by attendees that cut across industry verticals, said Co-Chairman, WACC 2019 Planning Committee, Dr Sola Afolabi. “The event will draw attention on providers, whether in the connectivity or software space, as well as across a broad spectrum of other sectors, able to reflect market dynamics, technology disruption to unbundle new services and diverse opportunities in this era of technology and regulatory convergence. “The gathering will further provide insights on how regulators are able to leverage industry dynamics to provide proactive regulations across sectors, particularly as technology and industries converge creating once untapped opportunities with new industry leaders re-writing the market rules, and setting new agenda” added Afolabi. WACC 2019 is the 10th edition of the West Africa’s only forum on technology convergence and the impact on industries, people and environment. ts application across sectors.The 2019 themes centre on: Regulations + Disruptions; Employability + Entrepreneurships + Connectivity in the era of Convergence. Sessions include: InventSpace; Employability & Entrepreneurships; Tech Frontiers; Regulation, Connectivity, Broadband, BroadPLANS and Convergence. This year, WACC will also be hosting the GITEX Stakeholders Forum (Lagos) where officials of the Dubai World Trade Centre (DWTC), organisers of GITEX Technology Week, world’s 3rd largest ICT event, will be interacting with existing and prospective GITEX trade visitors. Since 2013, Nigeria has been participating in GITEX led by the National Information Technology Development Agency (NITDA). NITDA uses the GITEX platform to expose Nigeria’s startup ecosystem to global interests. Through partnering with the DWTC, NITDA’s participation has been hinged on helping the country’s private sector to explore global opportunities and to help public sector entities engage the global tech leaders so as to thicken the value proposition of ICT in Nigeria’s public sector. More than 350 people have registered for WACC 2019 with a lot of enthusiasm from the startup ecosystem and the university community to underscore the growing interest in emerging technology issues as they impact on the economy of Nigeria and West Africa at large. Speakers at WACC 2019 include regulators, public and private sector top decision makers, academics, researchers and innovators.